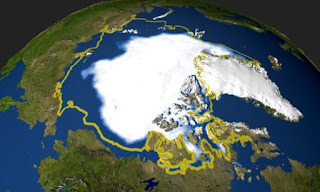 The report earlier this week from the IPCC provides yet another reminder of the threats in the not too distant future from the effects of global warming. I have been following this story closely since my interest was alerted in the mid 1980s so for me, and I am sure many others, it is an issue close to my heart. The report is a follow-up to the Paris Agreement of 2015 where the global community agreed on action to limit global warming to a maximum of 2 ºC. This latest report calls for a lower target of 1.5 ºC. The report says that limiting warming to the lower target will require an industrial transition unprecedented in scale - but that it is possible, if the political will is there - and that the wider opportunities and benefits are huge. It will require large-scale changes from out governments as well as individuals. We will need to invest around $2.4trillion each year - around 2.5% of global GDP for at least the coming two decades. Basically the report suggests if we fail to achieve these targets we are screwed. 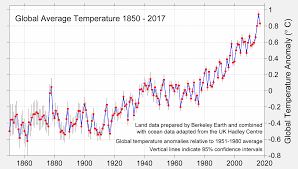 Since the mid 1800s the world has warmed by around 1 ºC and unless there are some drastic changes, we are heading for 1.5 ºC increase by 2050. This may not sound like much but at the end of the last ice age, the UK was covered in around 2,000 ft of glacier and the average temperature was only 6 to 8 degrees cooler than today. Global warming = more extreme weather...droughts, storms, hurricanes, wildfires. Glaciers and polar ice caps will continue to melt which results in a rise in global sea levels which will be a threat to islands and coastal communities. Severe droughts and/or flooding over large areas will result in a mass migration of people in affected areas which will increase political and economic stability. In short, global warming and climate change could have far-reaching and long-lasting consequences for millions, possibly billions of people depending on the degree and speed of warming. Of course we have known about the probable effects of climate change for at least 30 years. The IPCC was set up in 1988 by the UN and the World Meteorological Organisation, bringing together the world’s leading climate scientists to assess knowledge of climate change and provide scientific advice to policymakers. In 2006 the UK government published the Stern Report on Climate Change, led by the former World Bank chief economist Sir Nicholas Stern, showing for the first time that the catastrophic economic impacts of climate change far outstrip the relatively modest costs of reducing emissions. I first became aware of the problem in the mid 1980s having read 'Seeing Green' by Jonathan Porritt who was then director of Friends of the Earth. I have tried to do my bit over the years and reduce my carbon footprint. Nothing dramatic but changes to lifestyle...basic insulation around the house, cut back on meat, avoid flights/cruises abroad and take holidays in the UK (that's why I do not need a passport), an extra layer of clothing rather than turn up the heating and planting a tree or two. During my stay in Devon we held an annual tree week event and over a period of 6 years collectively planted around 10,000 trees on Dartmoor in conjunction with the Moor Trees Charity. We probably do not have much influence on what our government does or does not do, on the phasing out of fossil fuel power stations and the introduction of all the infrastructure to support the switch to electric transport. President Trump may pull out of the Paris Climate Agreement and there's not much we can do to change his mind. However, we can all choose what we eat, how we move around, where we take holidays and weekend breaks and generally how we live our lives. It's easy to think what one person chooses to do or not do will not make any difference but the way we act will influence the people around us and will have a knock-on effect. Small lifestyle changes taken by millions of individuals will have a significant impact on the big picture. For starters, a cow on average release between 70 and 120 kg of methane each year. Methane is a greenhouse gas like carbon dioxide (CO2). But the negative effect on the climate of methane is 23 times higher than the effect of CO2. Therefore the release of about 100 kg methane per year for each cow is equivalent to about 2,300 kg CO2 per year. Secondly land use - without meat and dairy consumption, global farmland use could be reduced by more than 75% – an area equivalent to the US, China, European Union and Australia combined – and still feed the world. For example, beef cattle raised on deforested land result in 12 times more greenhouse gases and use 50 times more land than those grazing rich natural pasture. Another area of concern highlighted in the report is aviation which is growing at a rapid pace due to 'cheap' flights. 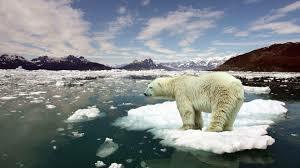 It currently accounts for up to 5% of all global warming emissions. Air travel has a much greater impact per passenger mile travelled compared to road or rail. Studies show that high altitude emissions which also include water vapour as well as CO2, nitrous oxides and sooty particulates from the burning of kerosene. Aviation is the fastest growing area of all contributors to global warming. Most air travellers are blissfully unaware of how their flying behaviour contributes to global warming. Aviation, along with shipping, was given special status and excluded from the Kyoto and Paris climate change agreements. Also, under the Chicago Convention, countries are not permitted to levy fuel duties or VAT on international flights. Not that our political parties are looking to restrict cheap flights! Hopefully our governments will take these issues more seriously but judging by the progress of the Green Party over recent years I am not holding my breath. In the absence of governments and business grasping the nettle, it will fall to individuals to instigate some changes. People talk about saving the planet...to be honest, the planet really doesn't care whether we 'save' it or not because it will carry on regardless. What matters is whether we can continue with a relatively benign environment much as we have become used to over the past 10,000 years, or whether we stubbornly stick out collective heads in the sand and create a very hostile planet for out children and grandchildren. Mahatma Gandhi famously said, "You must be the change you want to see in the world." In other words, although life changes are inevitable, we can also initiate personal change so we can rise to the challenges that we all face. It is empowering and means we take some responsibility for the changes we want to see happen without relying on other people to make the changes. It's about bringing your beliefs and lifestyle into closer alignment. Our politicians spend much of their time sqabbling over Brexit but our climate scientists remind us all that the existential threat of the hour is global warming. The window to make the changes required becomes smaller with each passing year. Are you worried by climate change? What do you think our government needs to do now? What changes have you made (or intend to make) in your personal lifestyle to reduce your carbon footprint? Maybe you think the scientists have got it wrong and it's all unnecessary scaremongering? Leave a comment below. I am not preaching from the pulpit here - in a way, i wish i was ! I do have a small holding in INRG and do my best to avoid 'miners' etc, but 'cimate change' is not at the forefront of my pf selection. You are quite correct, the investing landscape will need to change significantly if these targets are to be achieved. However socially responsible investing can mean different things to different people. There are various 'shades' of green funds as you point out as well as much 'green wash' in the industry designed to confuse so it is very difficult for the average punter to be sure their chosen fund is doing what they want from an ethical point. I have just started to put together an article on ethical investing for a future date and at first glance it seems like a real minefield. I would also be interested to hear from others on this area. Great article. Personally I’m trying to do as much as I can to protect the environment. I think the most powerful way to do that is as a consumer: walk, cycle, heating down etc as you describe well. But I’m not convinced that ethical investing is the way. It’s trying to push a world to do something before it’s ready (which is bound to lose me money, no thanks). Better to concentrate on the ‘pull’ and do it as a consumer and get our neighbours doing the same. I am sure there are many doing their bit to protect the environment. Like you, I am not really convinced that ethical investing is the solution...more like a marginal rearranging of the deck chairs on the Titanic. I suspect the only answer is a fundamental restructuring of out economic model based on economic growth and mass consumerism. I am sure there are some viable alternatives but the global community it seems is not quite ready to explore the options. As Zizek points out "it is easier to imagine the end of the world rather than the end of capitalism"
While I basically agree with you. "•think about food miles and choose local produce"
I don't think local produce necessarily has a lower carbon footprint. (think Spanish tomatoes in an unheated greenhouse v uk tomatoes in a heated greenhouse. The wikipedia page has a few more examples. https://en.m.wikipedia.org/wiki/Food_miles. For me one of the main things about FIRE is the inherent environmentalism. Spending < 50% of your income means you're buying < 50% of the stuff you would have otherwise. That's a good point on the 50% spend by those who are saving hard to retire earlier. Most I guess will deliberately avoid unnecessary spending on 'stuff' they do not really need. As for energy used for tomatoes grown in Spain and then flown/driven over here to provide our all year round demand...I am not really convinced. I suspect the hidden costs of transport are not fully reflected in the price we pay in the shop. I will stick with buying UK tomatoes in July/Aug which I look forward to the rest of the year. Well yes, in season local will in general be lower carbon in general. So your July / August uk tomatoes probably will be better. The situation would be reversed in February though. Agree about hidden (unaccounted for) costs, only solution I can think of carbon tax. From my limited reading, transport only accounted for 10% of food carbon footprint and food I believe only accounts for 10-20% of our carbon footprint. So you're only looking to save 2% of your carbon footprint. I would be looking at the bigger gains.